The crane is depicted as a symbol of Long Life and Happiness. Margaret Ellem (nee O’Toole) has depicted the crane in this pen and watercolour painting. 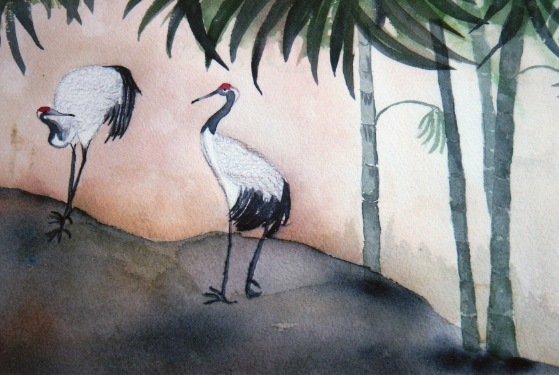 She has depicted the cranes in this painting as Long Life and happiness. We recommend that you have a peek at Margaret’s work on our Habitat Centre for the Arts Site.